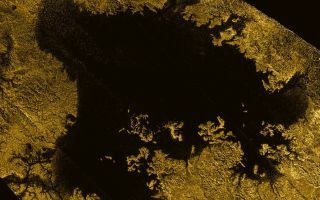 Ligeia Mare, shown here in this stunning false-color space wallpaper from the international Cassini mission, is the second largest known body of liquid on Saturn's moon Titan. It is filled with liquid hydrocarbons, such as ethane and methane. This image was released June 17, 2013.